Reach RS2 gets fixed solution in just seconds and maintains robust performance even in challenging conditions. Centimeter accuracy can be achieved on distances over 60 km in RTK, and 100 km in PPK mode. RINEX raw data logs are compatible with OPUS, CSRS-PPP, AUSPOS, and other PPP services so you can now get centimeter-precise results in any place on Earth. Process RINEX files in an online service and get position with absolute accuracy. Reach RS2 features a power-efficient 3.5G HSPA modem with 2G fallback and global coverage. Now corrections can be accessed or broadcasted over NTRIP independently, without relying on Internet connection on your phone. Up to 22 hours of autonomous work when logging data and up to 16 hours as a 3G rover, even in cold weather—no more need to carry spare batteries with you. Reach RS2 can charge from a USB wall charger or a power bank over USB-C. The easiest to use software for data collection that is available both for Android and iOS. 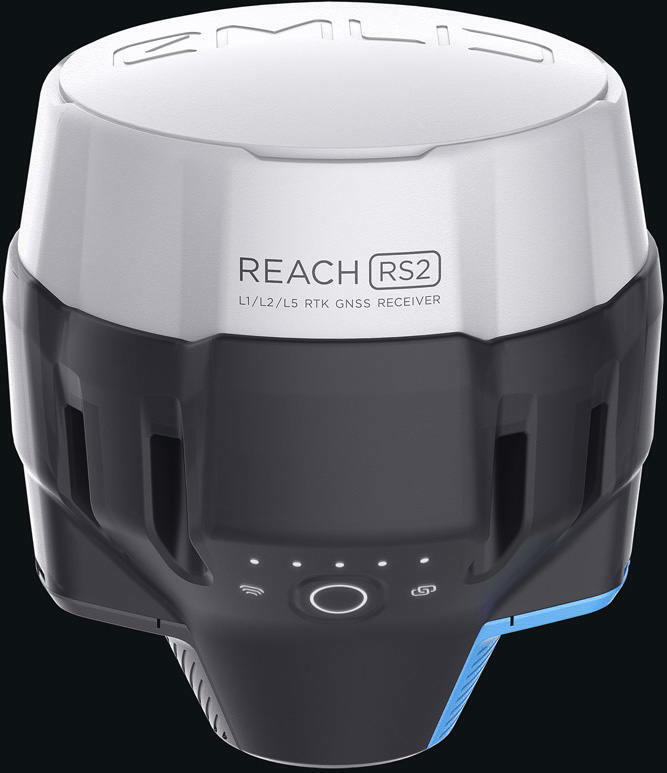 With ReachView, you can collect and stakeout points and control all the features of Reach RS2. Setting up a base station, logging RINEX data, configuring NMEA output—all can be done in ReachView. Create projects and save points with custom name and description. Set rules for data quality. 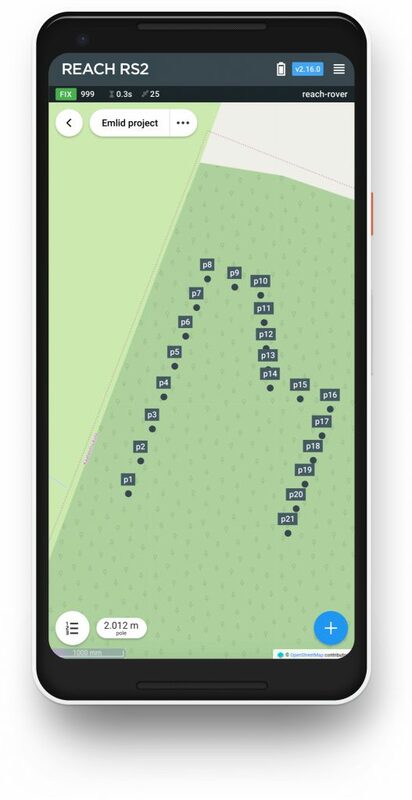 Data collection is fast and intuitive, because ReachView is designed to feel like most popular map apps. ReachView can guide you to any point like a navigator. On distance 50 cm from a point app's interface turns into bullseye view. Move the receiver to align bubbles on the screen, when interface turns green—you are on the point. Record raw data, position and base correction logs. 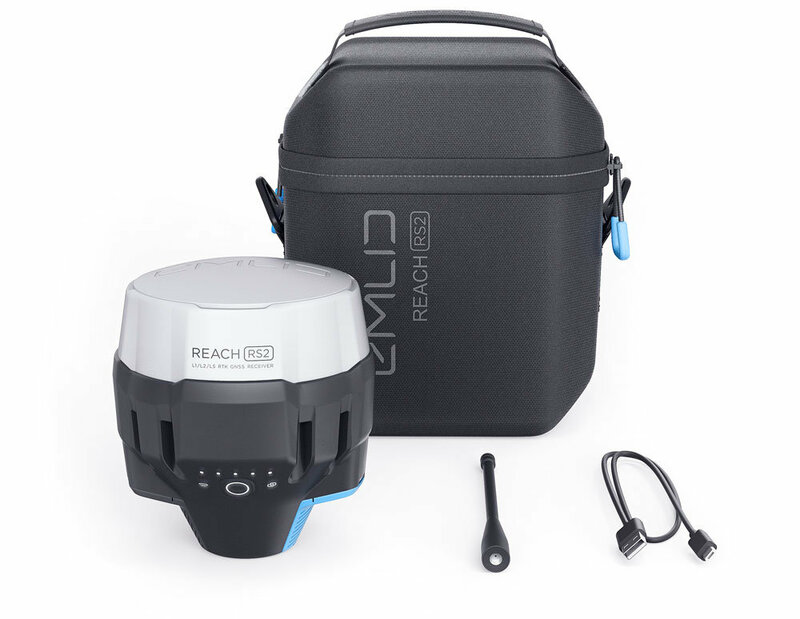 Use Reach RS2 to set up your own base station. Stream corrections over the network via NTRIP/TCP or LoRa radio, record base logs for post-processing. Reach RS2 works with any amount of rovers and is compatible with Reach RS+ and M+. Any receiver that supports RTCM3 and NTRIP. External radios are supported over RS-232. Reach RS2 can send precise coordinates over Bluetooth or Wi-Fi to your tablet with a lightbar navigation app. RS-232 interface allows to connect Reach RS2 directly to an autosteer system. 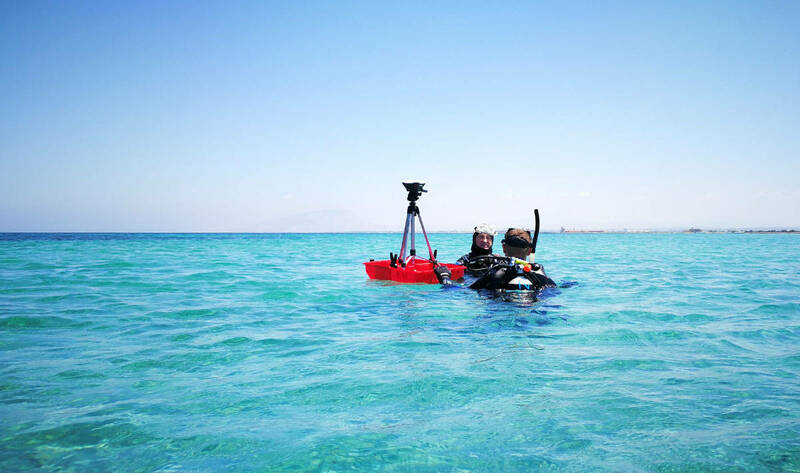 Reach RS2 is designed to work even in the most challenging environments. 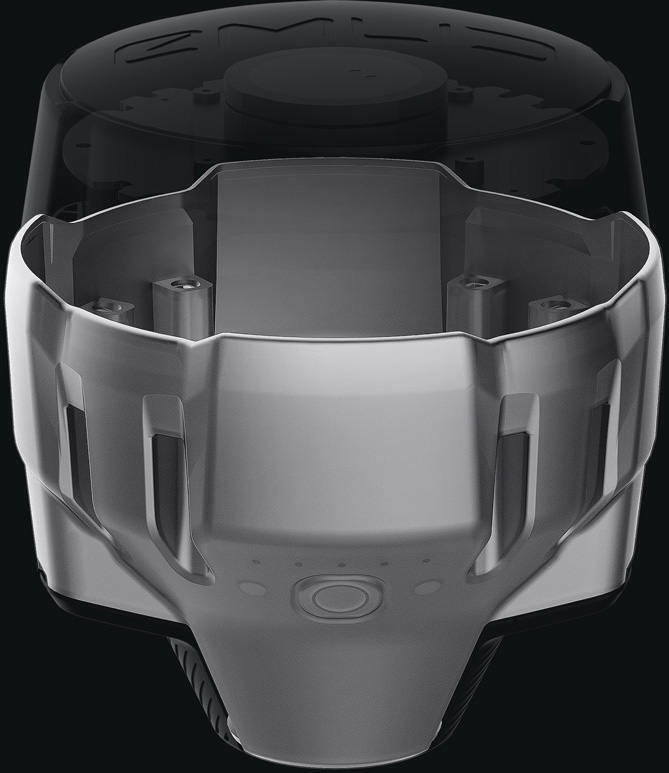 RS2 is waterproof up to 1 m depth. 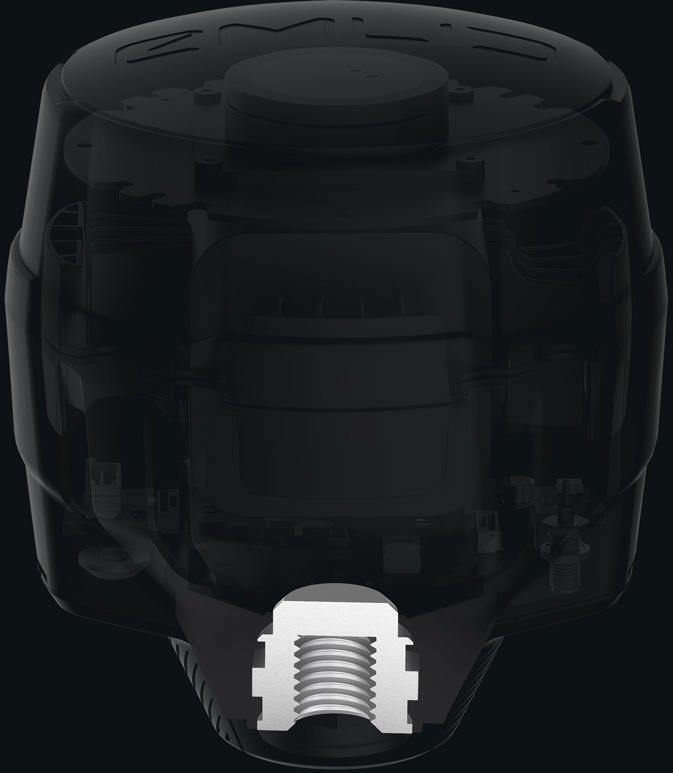 All connectors are completely sealed and protected from water and dust with silicone plugs. We extensively tested Reach RS2 in conditions that simulate coldest winters and hottest summers. Polycarbonate, an extremely durable material that is used in bulletproof glass, makes Reach RS2 impact-resistant. 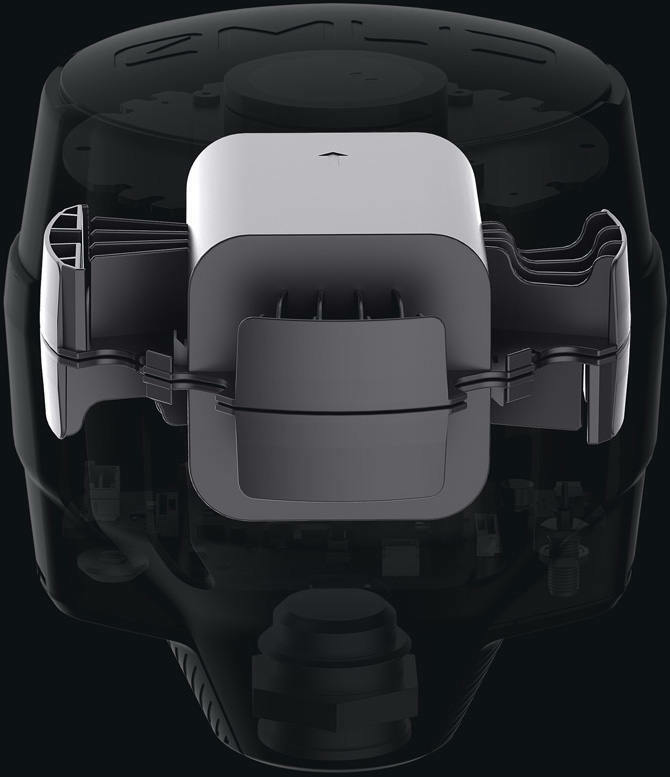 Rubber-like material that forms a shock absorber around the whole device. In a sophisticated manufacturing process, elastomer is permanently bonded to the polycarboante base. So if your bipod falls over, Reach RS2 will bump off, no marks left. LoRa Spread Spectrum modulation can work on distances up to 4 times longer compared to traditional FSK radios at the same power output. 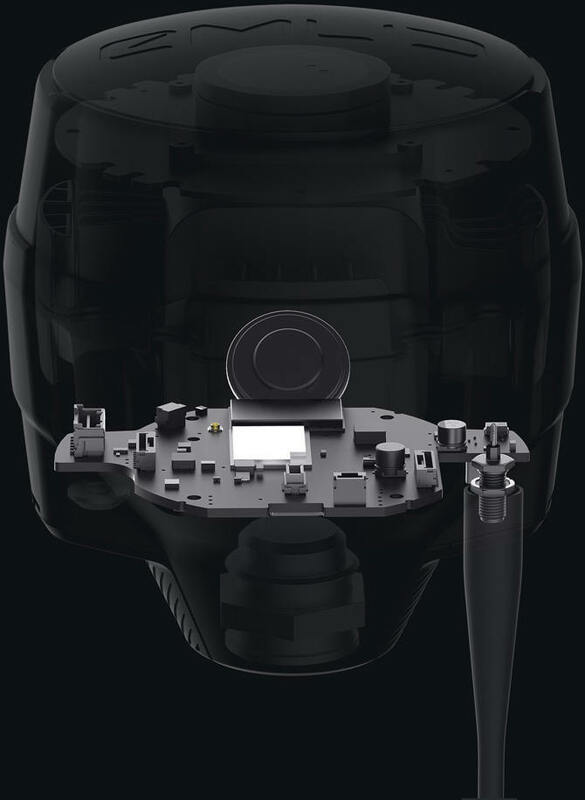 This gives Reach RS2 robust radio performance without sacrificing battery life. 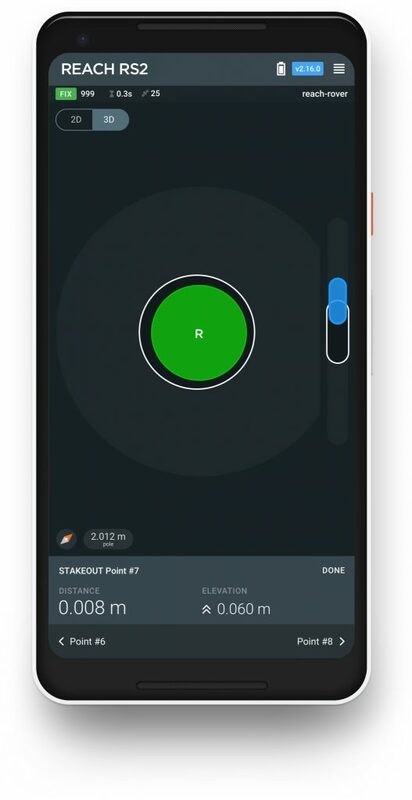 LoRa radio is used to connect rover to base when Internet-delivered corrections are not available. Industrial battery that handles well both high and low temperatures. Reach RS2 charges from any USB port and power bank. of charging and discharging while maintaining original capacity. 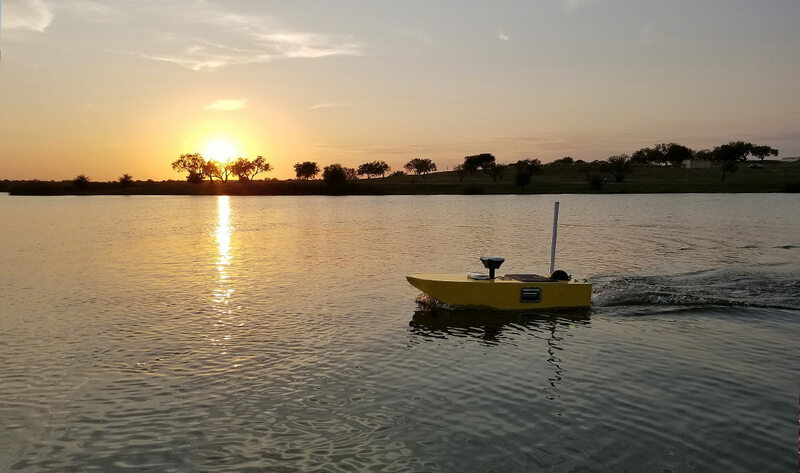 Reach RS2 works for up to 22 hours in static logging and up to 16 hours in RTK with cellular on. You don't need to worry about having spare batteries or replacing them in the field. Hot-swaps are a thing of the past. From America and Canada to Europe, Africa and Asia. We can't even count in how many ways people used Reach RS in their projects. Reach RS and Reach RS+ gave access to centimeter-accurate RTK GNSS measurements to thousands of users all around the world. Supporting multiple frequency bands, Reach RS2 fixes 10 times faster, works on longer baselines and supports PPP processing. 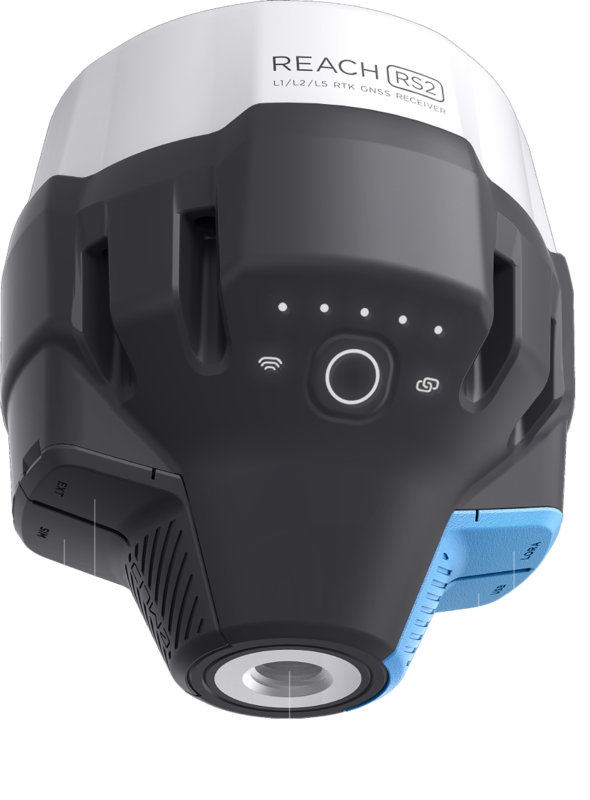 Reach RS2 can also deliver centimeter accuracy in areas where Reach RS struggled: narrow city streets, forests, close to buildings and machinery. 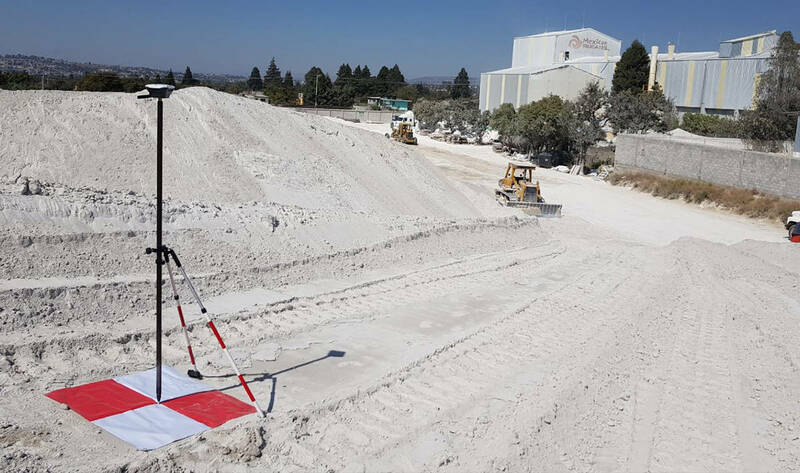 The Dromine team carries out a UAV-based volumetric survey to assess feldspar stock at the site. 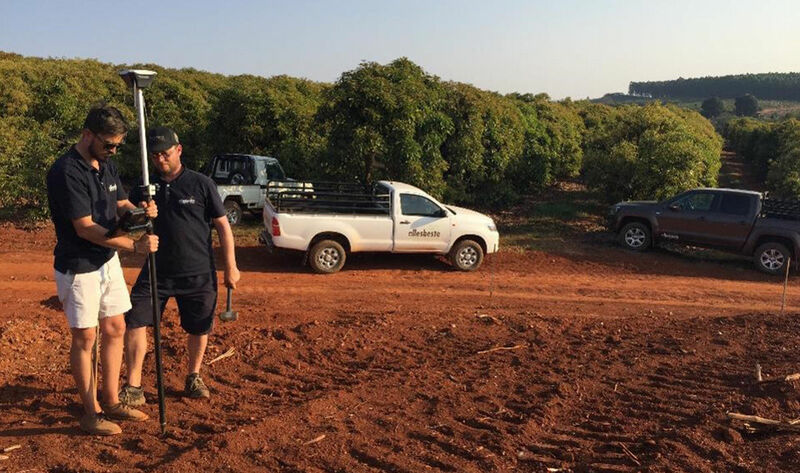 Drone mapping with GCPs and Reach RS to get exact topography of an avocado orchard site. 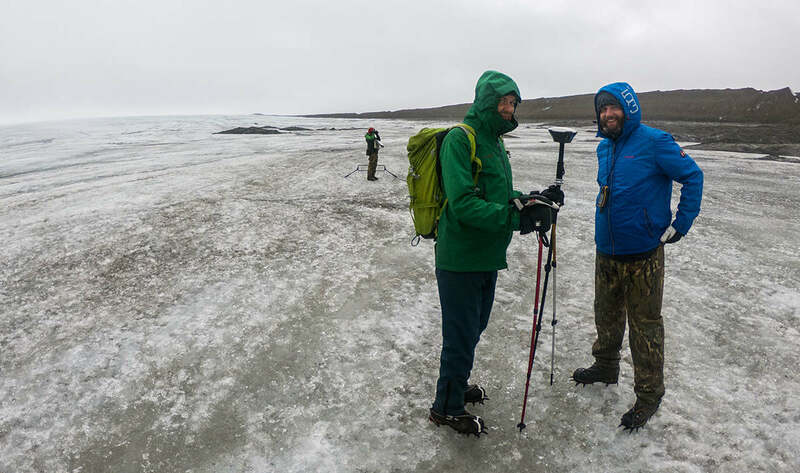 Investigating thickness, structure, and subglacial topography of a glacier in Iceland. Working with the Indonesian government to find an efficient way to map the whole country. Package includes: Reach RS2, LoRa antenna, USB cable and carry case with a strap. ReachView app and all features of Reach RS2 are already included in price and fully available. 2-5 days by DHL, up to 3 weeks by airpost. Support is always free and available to everyone. Emlid team will help with any question regarding troubleshooting, workflows, and orders. Quickstart guides and comprehensive feature overview. Step-by-step tutorials covering most common applications. Share your project or ask any question on Emlid community forum to get answers from experienced users and Emlid team.